The summer months bring with them all sorts of new time demands, while customers requirements cannot be set aside. Because of this, I found it necessary to simply take a few weeks away from the 52 in 52 project. This has been a good few weeks, with what little time I had available allowing me to work on something outside lighting in my spare time and recharge and refresh. During this time, I have been collecting a few new samples and some new hardware to work from. 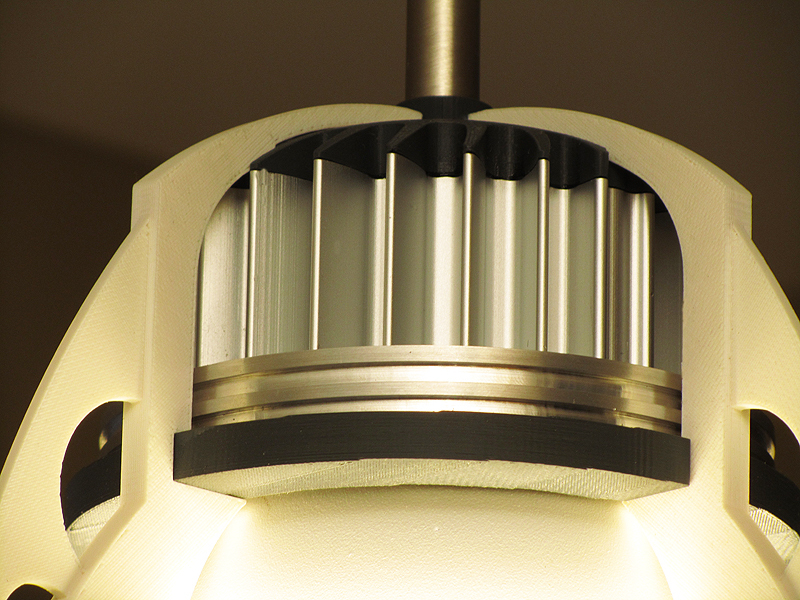 D29 is built around just such a component, this time from Cree. 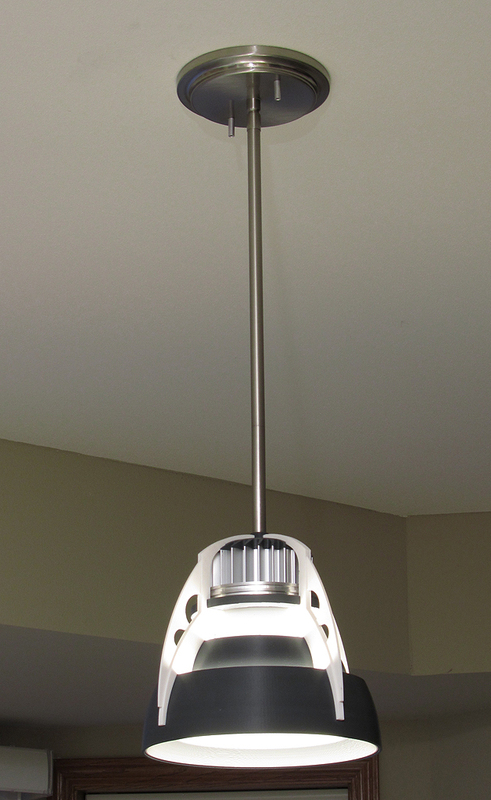 This pendant utilizes the new Cree LMR4 lighting module. It produces roughly 700 lm, and consumes 12W, and includes the same basic color maintenance system as the core Cree LR series of products. The module has a large emitting surface area, which is very smooth in appearance. However, for this pendant, I wanted some light directed onto the ceiling. 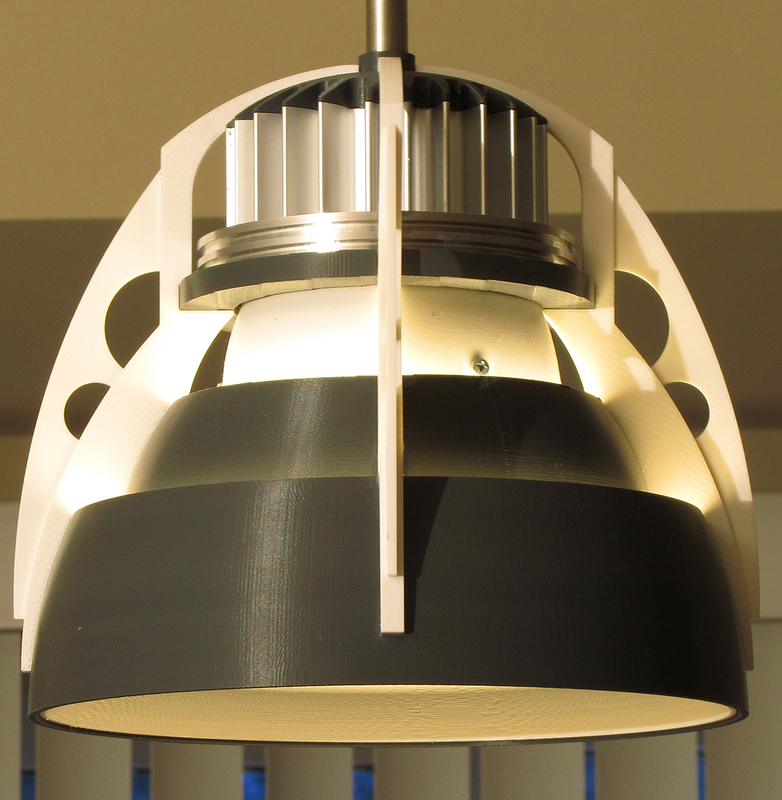 To accomplish this, the lower shades have internal diffuser baffles that trim the beam pattern of the module, directing it upward onto the ciling and the body of the pendant itself. 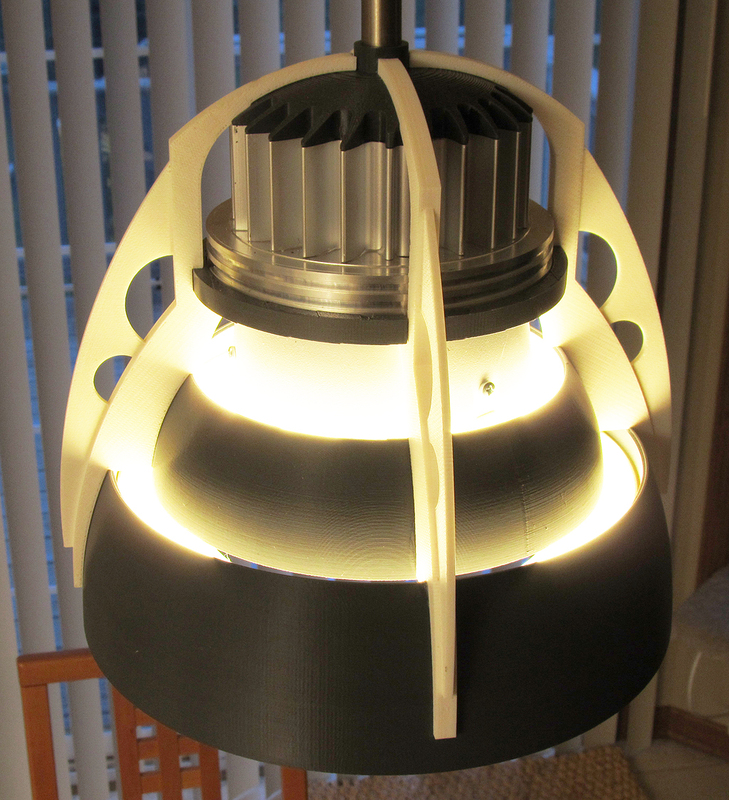 The result is roughly 5% uplight, with the rest a more controlled downlight onto a work/kitchen table below. I like the LMR4 module. It works very will, is completely self contained and ready to connect to 120VAC. It dime very well using an incandescent dimmer, and the light it emits is very pleasant in color – although a little bit worm for my own taste, but that’s just the module I was sent. In this pendant, I used the Cree provided (sample kit) heat sink, but made my own heat spreader ring to couple it to the module. I was surprised that the module body, painted white, is an aluminum die casting, which helps dissipate heat. The pendant is barely warm after three hours operation, so it appears the thermal design around this module for other uses should be very easily to manage. With this under my belt, I will pick up where we left off. Completing the remaining 23 designs before years end will not be a simple task, but its doable. I hope you’ll continue to follow the effort!